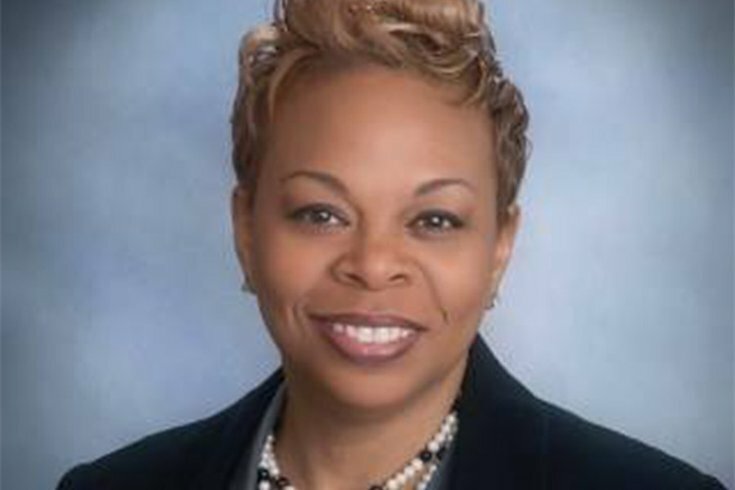 Camden Mayor Dana Redd has not yet said definitively if she will seek reelection. Nominating petitions are due April 3. Two months away from the filing deadline to set in motion running for mayor of Camden, incumbent Dana Redd has not said publicly if she is – or is not – seeking reelection. “This is a real story and people are talking about it,” said one Democrat, adding the speculation began before Christmas. Asked to comment on Wednesday, Redd issued a written statement to PhillyVoice. The statement leaves the answer to questions about her intentions open – and subject to interpretation. “There has been no greater satisfaction in my professional career than serving as Mayor of my home city – the great city of Camden,” wrote Redd. “I am extremely proud of the work my administration has done these past seven years to change the perception of Camden as the poster child of doom and despair to a symbol of hope, resurgence and resilience. A spokesman said there was nothing more to add to further clarify Redd’s intent. Even before Redd’s ambiguous statement, there’s been widespread speculation whether she will run, she won’t run – or that she has simply not made up her mind. As one source said: Stay tuned. Another said she has not made a final decision. • Arthur Barclay, a former member of city council and a sitting assemblyman. Raymond Lamboy, president and and CEO of the Latin American Economic Development Association, has also been mentioned, though he is seen as a longshot, more likely to run independent of the party. There are others who also might run without seeking party support. Mayoral candidates must file nominating petitions by April 3, so there is not much time for Redd and others to commit to running. So far, city Democrats have not scheduled a meeting to endorse candidates for mayor and the three council seats that are up. In Camden, the party endorsement is critical, even though the mayor-council form of city government is non-partisan. That’s because the city skews heavily Democrat and a party endorsement just about always means winning the primary, which will be held on June 6. Fuentes and Lamboy both declined comment on Wednesday. Barclay did not respond to requests for comment. On the other hand, Moran issued a written statement – issued via Redd’s office. “These past few years we have witnessed first-hand how much we can accomplish when everyone shares in a vision to move Camden in the right direction towards prosperity. We have seen enhancements in public safety, improvements in educational outcomes for our youth, increased economic development, new job opportunities for residents and much more. “Clearly, Camden is finally getting the respect and positive attention it deserves, but we cannot, and will not, allow ourselves to be sidetracked or distracted from the important work that still remains in front of us. He did not respond to requests for additional comment. Sources said Redd had shown an interest in a federal position, had Hillary Clinton been elected as president, or perhaps a position in Trenton had New Jersey Senate President Stephen Sweeney successfully positioned himself to run for governor.